Late with this again, the bank holiday has really thrown me off my usual routine. 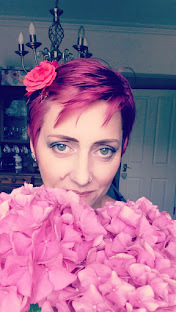 My four photos for last week include this one of my beautiful Sidney. He's such a gentle sweet and lovely boy. A true introvert, he doesn't say much, but when he does he gets right to the heart of the matter. 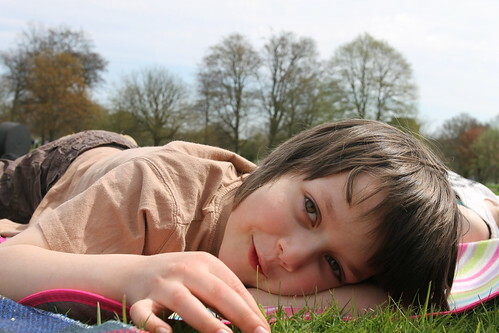 I was snapping photos of him lying in the sun at Yorkshire Sculpture Park on Monday, and he wouldn't smile until I asked him to tell me about his most favourite thing in the world...Lego, that made him smile. After a very slow start, it seems Spring is finally here, some days like today it still doesn't seem sure it's here for good, but I've cast off my winter boots now, and they are staying off! 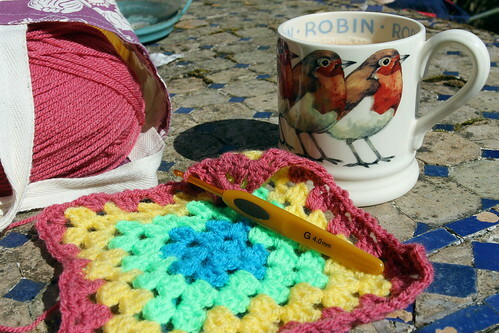 I've even managed five minutes here and there sat in the garden with a bit of crochet. The blossom is finally blossoming. 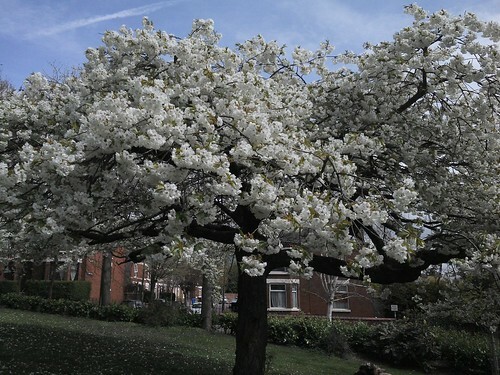 This tree is in a little park on our walk to the library, it lifted my heart last week to finally see it in full bloom. 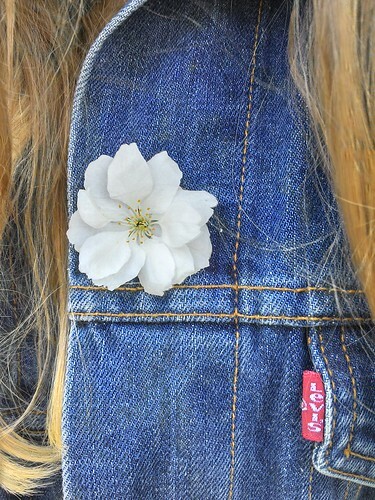 India picked a blossom flower from the ground for a buttonhole. What a lovely shy smile he has :) Good crochet work, mine has ground to a halt while I knit a dress up jumper for Oscar lol. He would for sure have a friend in Benedict who is equally Lego mad! We have had Kath and baby Gracie to stay this past week and so i have totally lost the plot!! !